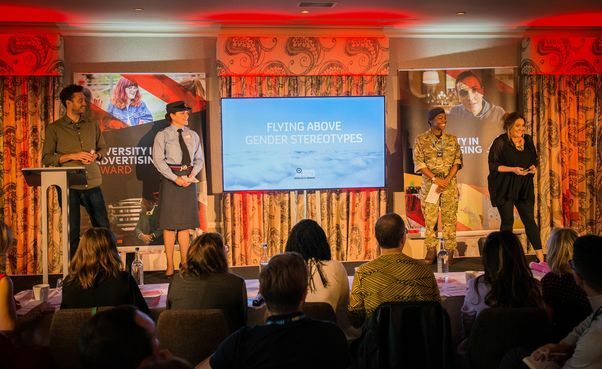 Channel 4 today announced that the Royal Air Force and Engine have won the broadcaster’s £1 million Diversity in Advertising Award 2018. The brand has won £1 million worth of commercial airtime for a campaign which addresses the portrayal of women in advertising. The winning ad will air in February 2019. Four creative ideas were shortlisted for the final of Channel 4’s annual award which this year invited agencies to create a campaign challenging ingrained stereotypes and the objectification and sexualisation of women. The theme of the award comes in a year which has seen a spotlight turned on to gender pay gaps, the flourishing of the #MeToo movement, and 100 years since the first women won the right to vote in the UK. Channel 4’s Head of Agency and Client Sales Matt Salmon said: “At its worst, the portrayal of women in advertising has a huge impact on society at large, reinforcing negative stereotypes. The judging panel was made up of leading figures from the advertising industry – the Advertising Association; IPA; The Marketing Society; Thinkbox – and included Karen Fraser MBE, Director of Credos, advertising’s think tank. Louise Hayward, Managing Partner at Engine said: “We’re so passionate about this idea, it’s an amazing feeling to have won. The Channel 4 award, which will run at least until 2020, aims to encourage the advertising industry to embrace inclusive campaigns, extending Channel 4’s leadership in diversity beyond its editorial output and into the ad breaks. The four finalists - Cadbury Milk Tray and Elvis Communications; eBay and 72 & Sunny Amsterdam; Flybe and McCANN Bristol; and Royal Air Force and Engine - presented their campaign ideas at Channel 4’s Plannertarium, an annual event which brings together some of the industry’s biggest stars to explore creativity and innovation in television. And whilst the Royal Air Force and Engine have won £1 million worth of commercial airtime, Channel 4 is eager to see all the finalists’ campaigns make it to air and will offer them match-funded commercial airtime of up to £250,000 for each brand to make the adverts they pitched to the judging panel. The judging panel included: Channel 4 Chief Commercial Officer and Chair of Judges Jonathan Allan; Dan Brooke, Channel 4’ Chief Marketing and Communication Officer; Dawn Butler MP, Shadow Minister for Women and Equalities; Lindsay Clay, CEO Thinkbox; Jane English, 4Creative Business Director; Karen Fraser MBE, Director of Credos; Gemma Greaves, Chief Executive, The Marketing Society; Brittaney Kiefer, Creativity Editor, Campaign; Eoin McLaughlin, 4Creative Creative Director; and Leila Siddiqi, Head of Diversity IPA. In 2016 Channel 4 ran its Superhumans Wanted competition which invited brands to pitch for £1 million worth of commercial airtime for a campaign featuring disability. The award was won by Maltesers and AMV BBDO. In 2017 Channel 4’s £1 million Diversity in Advertising Award invited brands to focus on non-visible disabilities and the competition was won by Lloyds Bank’s #GetTheInsideOut campaign which focused on mental health. Two of the six finalists - HSBC and Grey London; and Jaguar and Spark44 – withdrew from this year’s competition. Full details of the award are available at www.4sales.com/diversityaward. Olly Courtney – Creative, Engine.